The Jeep Brand has been one a US success story. The last few years have seen a spike in drivers flocking to the SUVs and has helped Fiat-Chrysler maintain positive monthly sales figures for months. The big question is how does Jeep intend to keep that momentum going in 2017. Digital Trends had an interview with the man who will be shaping the future of Jeep, their CEO Mike Manley in which he talks about what he is excited for most in 2017. One of the first questions is what is the Jeep brand now that it is branching out its focus into markets like light off-road and luxury. Manley goes on to say that the Wrangler is seen as the icon of the brand but, “for a brand to be successful, I strongly believe it has to have character and personality that do not necessarily end up being purely defined by the products that are in that brand.” He continued that the Jeep products are meant to evoke a sense of adventure and that each branching Jeep product always has that at its core. What is it that excites him most for 2017? The answer is the same that many drivers are excited about. The Grand Cherokee Trackhawk. The Jeep that will finally hold the Hellcat’s 6.2L Hemi V8. Since Manley first confirmed its existence about a year ago, there has been much speculation of what to expect. Will an SUV have 707 horsepower? Manley doesn’t have that answer, just hype that the finished product will live up to the hype. The other major source of excitement for the upcoming year; the next generation Wrangler. The Wrangler has been the traditional Jeep of late. While other Jeep products have been changing their faces, and showing a more modern aesthetic, the Wrangler has kept to the classic boxy look. What will the new Wrangler look like? Manley assures that the Wrangler will still have “the underpinning of everything Jeep has stood for many years.” I wonder if that means the boxy look will remain. 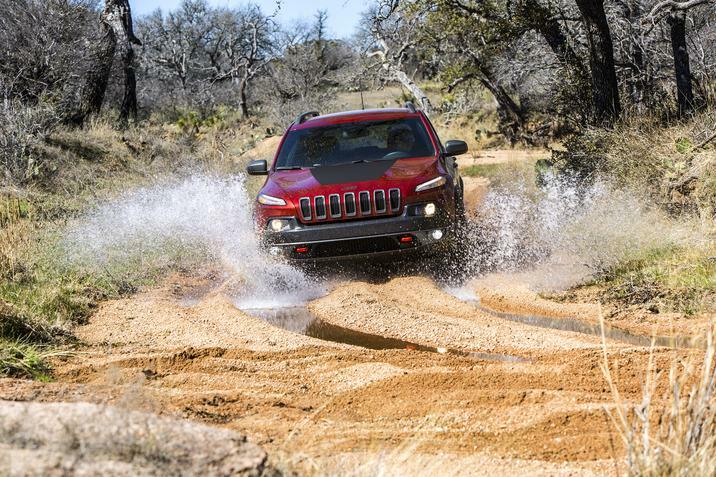 This entry was posted in Bayside Queens, Jeep, Jeep Cherokee, Jeep News, New Car, Used Car and tagged 2017, Bayside Chrysler Jeep Dodge, ceo, digital trends, future, Grand Cherokee, Grand Cherokee Trackhawk, Jeep, jeep life, Jeep news, mike manley, new suv, suv news, used suv, Wrangler by baysideadmin. Bookmark the permalink.